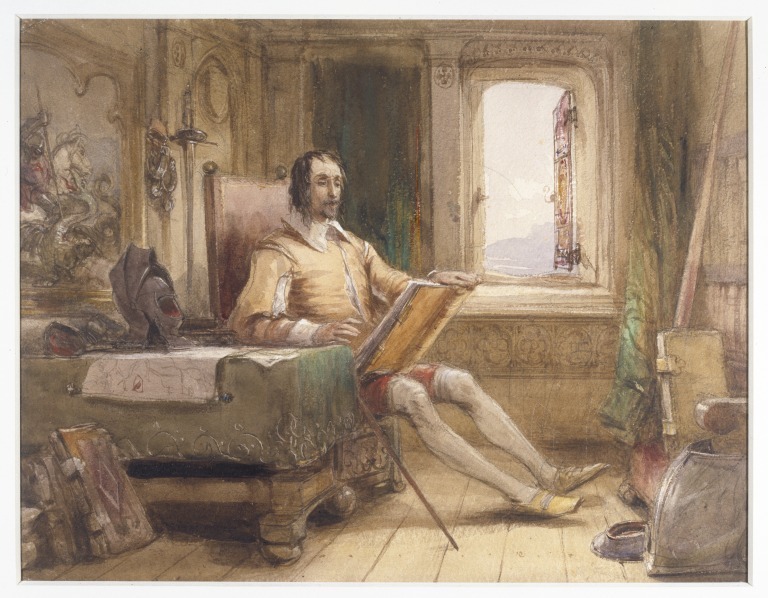 This watercolour appeared as part of the exhibition Charles Dickens: An exhibition to celebrate the centenary of his death held at the Victoria and Albert Museum, 1970. 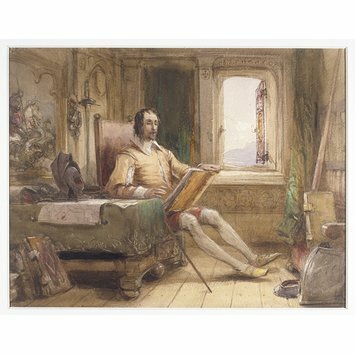 'Don Quixote in his Study'. Water colour by George Cattermole (1800-68). Victoria and Albert Museum Charles Dickens: An exhibition to celebrate the centenary of his death London: HMSO, 1970. P.3. Catalogue of the exhibition held at the Victoria and Albert Museum, June-September 1970.